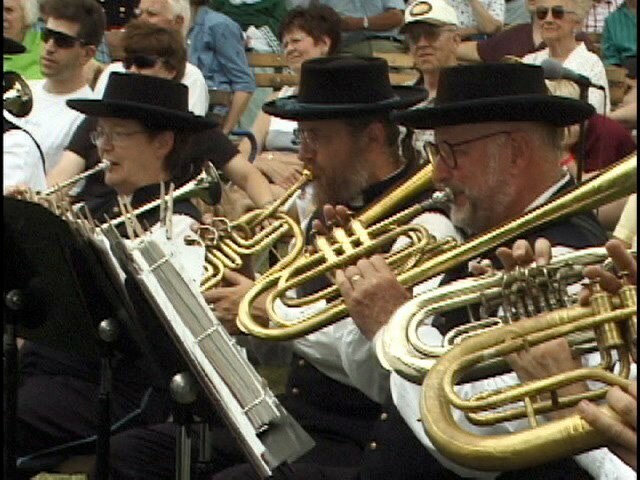 Eighteen Wisconsin men from the Brodhead Brass Band enlisted in the Union Army in 1864 and formed the 1st Brigade Band. The 1st Brigade Band carries on its “tradition of excellence” today. With musicians, color guard and Civil War era wardrobes, the 1st Brigade takes pride in re-creating history for its audiences. They use period instruments and have done widely known work in reconstructing actual musical pages from the Civil War. They usually perform over 40 concerts and educational programs a year.